How does a steady flow of customers sound to you? Most detailers don’t have the time, money, or energy to invest in all the best practices for marketing. Even if you were able to do all of that, do you have the time to properly analyze the data to make sure all that time and money was worth the effort? This is where we help detailers make leaps and bounds with their business. If you would like a consistent flow of new clients, we are able to do that for you. Using highly targeted ads and other tactics, we’re able to maximize your marketing dollar and prove a positive ROI. 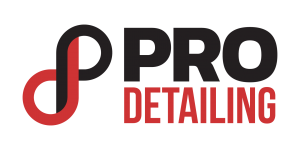 Detailers who entrust us with their marketing often wish they did it sooner. Through the systems and techniques we implement, we are able to track results and prove the value to every detailer. Want to see if we’re a good fit? Submit your info below and we’ll schedule a time to learn more about your business and see if we are a good fit to work together.